As a local, independent letting agent we have contact with our landlords day in day out, and we are fortunate to receive constant feedback on the service we provide. This feedback has told us that our landlords enjoy dealing with experts in the Bristol letting market – whether that is discussing a strategy for letting their property, meeting their property manager to discuss a maintenance solution, or ensuring they have accurate accounts records. Working in a competitive market we know how important it is to exceed the expectations of our landlords. Our recent reviews are listed below and we hope these help you compare the service you will receive from us to that of other letting agents. We look forward to working with you and receiving your feedback after using The Bristol Residential Letting Co ! I rented a 2 bed house in Southville thru Bristol Residential Letting Co for a year. They have good local knowledge with a branch nearby and a good range of properties available. Service was professional and attentive. Would highly recommend. Whole process from viewing to check-in was efficient. Laura and Emma were both really helpful, would recommend. 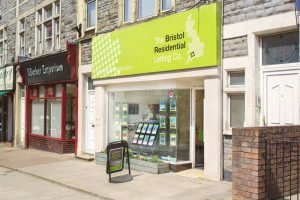 We were renting through Bristol Residential Letting (Southville branch) for the past 2 and a half years and can fully recommend them. I would highlight the great work of Josh Box who showed us the place and Andy Peters who managed it and who was always there with a solution when we had some problems. Even though we had a difficult landlord to deal with. Great experience for our first rental in Bristol. I had such a great experience with The Bristol Residential Letting Co.
I’m new in UK, with no experience in the local market. The Agency got it and was very helpful in that way. Once I found the listing on their website, everything has been very easy, quick and smooth. They were constantly listening to my needs and answering all questions I had. Excellent and quality service provided. I recommend. Thanks to the teams for their availability ! I’ve been communicating regularly with these guys about a property over the last few weeks and the service has been outstanding. They clearly know what they are doing and provide a fast and efficient service. My experience so far with BRL has been nothing but positive. – Professional service. Everything is done rigorously and fairly. They keep things “by the book”. – Knowledgeable staff providing solid advice. – Good online facilities for ease. – Properties are maintained to a very high standard. Moving home is hard enough – BRLC were friendly and efficient and made the whole process pain-free. Fees were explained clearly and the whole process from finding the property to moving in took less than a week. This has been my 6th Estates Agency in Bristol and these guys have by far been the best! Strongly recommend. We had a great experience with Bristol Res Let! They were able to easily handle our unique needs for an international move (we relocated to Bristol for an expatriate assignment) and have a good way of managing the processes and documentation. For the property management, Damien was very attentive to our needs and quick with follow ups. Very professional, thorough, and great to work with. Highly recommend! I can’t fault The Bristol Residential Letting Co. in Southville at all. The whole experience with them was brilliant from the first viewing. From the outset they were professional, yet friendly. They understood my needs and were always there for me. I couldn’t have asked for a better service. The whole letting process was incredibly easy, smooth and straightforward, thanks to Josh. I’ve dealt with a few estate agents over the years and by far these guys were the best. Thank you. Thoroughly recommend without reservation. As a landlord with several properties in different towns I can say this is the best letting agency I have worked with. All staff have been great. Never a problem in about 5 years. In particular Andy Peters has been a star. Due to selling we will no longer be working with them to our huge regret. Would definitely use them again as a landlord or a tenant. Amy, Emma and the whole team have been really helpful throughout my time with them. They are always very professional, informative, and helpful. Even when disagreements inevitably happen, they always provide full information and advice. They are a great asset and would happily recommend them to any prospective renter or landlord. We have been receiving full management service from BRLC for years. There are two offices in Bristol. Josh, Damien, James, Angela and Danny, in fact all the staff are very friendly, helpful, attentive…. and provide great customer service. They are all endeavouring in finding the right tenants for my properties and fixing the problems if any quickly and efficiently. Melissa helped to extend the tenancy months before it expires. Very proactive. All in all, they have been doing a great job and very professional. Highly recommended. Professional and friendly team that care for their clients. I have worked with this great team of people for a number of years, mainly due to their friendliness, their “can-do” attitude and their professionalism. You won’t go far wrong with these guys – they know their stuff and that is why they do so well and are so highly regarded. BRL have been managing my flat in Bristol for over 10 years. I have been overseas for some of this time and it has been really reassuring to know that they have been taking care of my property. They have always dealt with any query from my tenants in a timely manner, which is important to me. I want to be sure my tenants are being looked after and in return they will look after the flat. I have no hesitation in recommending them in both management and letting. Recently moved into a Bristol Residential Letting Co flat, really well organised from the viewing to paperwork, referencing and moving in. Kat and Emma made the experience hassle-free and very easy. Would recommend. Max was very professional and quite helpful in showing the property. I was not familiar with the rental process when moving into the UK, so needed help with nearly every step. Emma guided us through the application process as we finalized the agreement. Since moving into the flat, Damien has provided wonderful service. When a need arises, he is attentive and prompt in attending to the request and sending qualified professionals to perform the services. Many thanks to Bristol Residential Letting for finding our new home for us! Top notch agency. Really quick and easy to get moved into a new property with friendly and supportive service following from there. Really appreciated that there are two offices in opposite sides of the city meaning that regardless of location there is a local premises with staff available to talk with. Highly recommend. Really helpful and accessible letting company. Josh was a pleasure to do business with and was very informative and approachable. Gave great customer service and were very understanding surrounding any issues which came up. 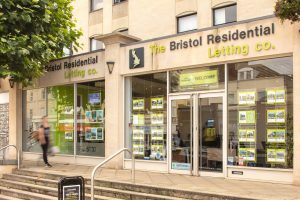 As landlords we have been using The Bristol Residential Letting Co (Southville branch) for just over a year and the service has been excellent. From finding tenants to building management, they have provided an efficient service. All staff are helpful, friendly and knowledgeable and are proud of their high levels of customer service. In summary they have made letting a property hassle free and convenient at competitive rates. Ditto what all the other positive reviewers have said. This company operates like a well-oiled machine. As a landlord I have been dealing with Bristol Residential for the past 5 years and can attest that they are professional, well organized, efficient and helpful. I have two properties, each handled by a different branch and the communication and manner of doing business is seamless in both. Tenants are found quickly, vetted correctly and properties inspected regularly. Any and all issues are communicated promptly and attended to. As you can tell, I highly recommend them. The above are a small selection of our most recent Google reviews. To read more, please click on each office below for their reviews.